This Shabbat: Rabbi's Birthday Kiddush! Join us this Shabbat (Dec 1) for a special Kiddush sponsored in honor of the rabbi's birthday! Service followed by Kiddush lunch sponsored by The Schmukler Family in honor of the Rabbi's Birthday! Chanukah begins this Sunday night (Dec 2, 2018)! It is a Mitzvah to light the Menorah every night of Chanukah, ideally at nightfall or soon after. Before kindling the candles we recite its special blessings. When Chanukah falls on Friday night, we light the Chanukah candles before lighting the Shabbat candles. 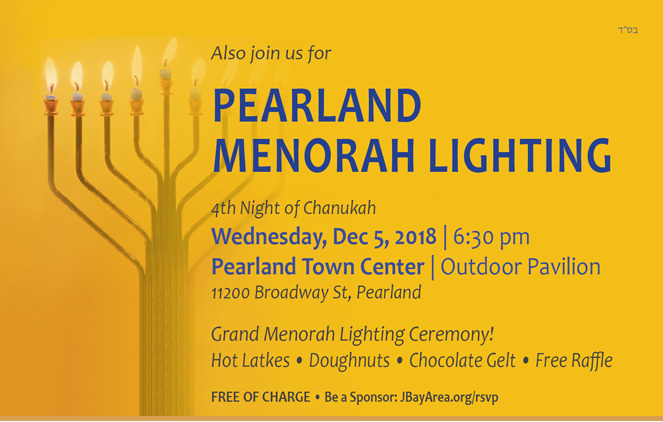 When Chanukah comes out on Saturday night, we must wait for Shabbat to end at nightfall (this year at 6:00 pm in the Clear Lake Area) before kindling the Menorah. Wishing you a joyous and bright Chanukah! For a list of Chanukah events across the Houston area, click here. Jewish Women's Circle - Thursday! 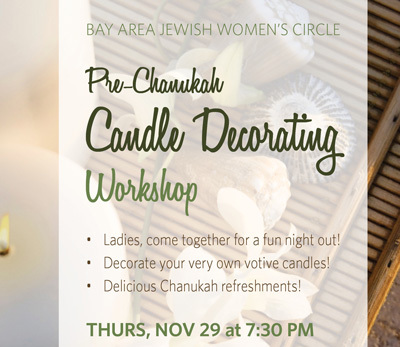 Join the Bay Area Jewish Women's Circle on Thursday, Nov 29 at 7:30 pm for a fun pre-Chanukah get together! Ladies, come together for a fun night out! Decorate your very own votive candles! The Jewish Women’s Circle is a fun night out just for you! Relax, socialize and meet new friends, while exploring contemporary topics through workshops and hands-on activities. To be available to everyone regardless of financial ability, we don't charge or request membership. However, if you are able, we encourage participants to join our Chai Friends with a scheduled monthly donation so we can keep the lights on and keep the awesome-nous going! We are not funded by any outside body. All of our funding comes from generous people such as yourself who appreciate our work and want it to continue and flourish. 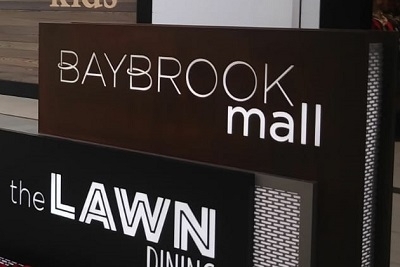 All of the funds you contribute stay here to serve our community. As we approach the end of the fiscal year, please make Chabad of the Bay Area an important part of your end of year, tax-deductible, giving. Donor Advised Fund (Fidelity, Schwab, etc. - we are set up with DAF Direct). 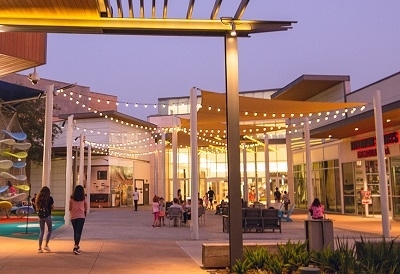 Legacy Giving: Ensure a bright future for the Bay Area Jewish community for years to come by remembering Chabad of the Bay Area in your will or bequest. 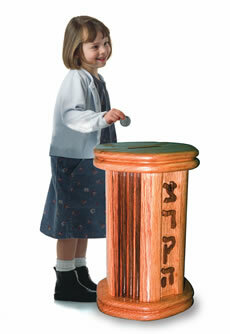 For more information, please contact the rabbi. Thank you for partnering with us in reaching out in friendship to our fellow Jews, from all walks of life, with meaningful and inspiring opportunities for Jewish life, learning and celebration! Just like the first Jewish Pilgrims would surely have done, after the service there will be a light Kiddush lunch with HOT CHOLENT! 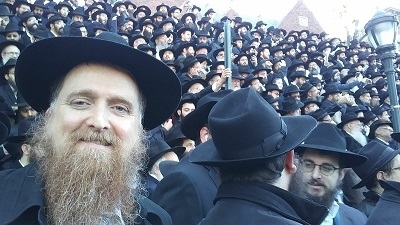 Some 4,000 Chabad Rabbis who serve at communities all over the globe, came together this past weekend for their annual conference. Of course, one always needs to take a group photo! A similar conference of rabbi's wives - Rebbetzins - is held in January. Featuring: Delicious Kosher Deli! • Live Music! • Grand Menorah Lighting Ceremony w/ Dignitaries! • Free Raffle and more! Featuring: Menorah Lighting Ceremony! Hot Latkes, Doughnuts and Chocolate Gelt! Free Prizes!